If you are planning to start ordering groceries from a home delivery service, it is imperative that you find one which provides organic and natural foods. This will be instrumental in ensuring that you feed your family a healthy meal while still saving yourself the trouble of queuing in supermarkets. There are many businesses in the market offering these crucial services today, but not all can be trusted to provide quality service. Consider the following beneficial tips to help you find the ideal home food delivery company. Spare some time to perform due diligence on the companies that offer these services in your area. It is essential that you get to know how long they have been in this industry and what their track record says about them. This will also help you to know the variety of food or ingredients they can deliver and those they don’t. Remember that these services deliver products to your doorstep as ordered, and some will go a step further to provide you with cooking tips needed to prepare a quick and delicious meal. Research about the local food stores in your region to know the distance your groceries will have to be transported before they get to you. Natural foods do not contain preservatives and this means they don’t have a long shelf-life. You don’t want your food to lose its flavor because it was transported over a long distance before being delivered to you. Besides, you may not have all the time to wait when you urgently want to prepare a meal. It would be wise to go for stores that are near your neighborhood to avoid these scenarios. Look for someone with a reputation for quality customer service. When you are relying on a company to supply fresh and organically produced foods, you need the assurance that you will get all the assistance you need and that it will be provided in a timely manner. They should be flexible enough to make any requested changes to your grocery list and do it accurately. They should also be able to make the delivery on time so that your schedule is not interfered with. 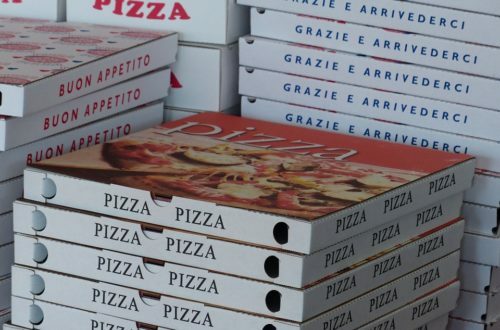 Many people who order food deliveries discover that once they have established a daily or weekly shopping list; there is no need to re-write the list. Additions or subtractions should simply be made by calling the customer care desk or logging in to their website. Look for a service provider that has made such provisions easier for you; whether it is highly available and reactive customer service desk or an option to make changes on their website. Price is another essential aspect that you must consider. Make sure that you go through as many options as possible to find a provider that is within a price range you are comfortable with. Remember that you will be paying for the foodstuff as well as the delivery service, so go for something you can afford. Check the prices on the menu provided and consider their quotes on delivery. It is important that you end up with someone who offers quality at competitive rates. Food home delivery companies offer crucial services that we can all conveniently do with. However, you need to make sure that you are going for someone that offers you complete value. Thinking of ordering groceries for your next meal, go to mercato.com for more information on home deliveries.